'He is the Napoleon of crime, Watson ... He sits motionless, like a spider in the centre of its web, but that web has a thousand radiations, and he knows well every quiver of each of them'Sherlock Holmes, scourge of criminals everywhere, whether they be lurking in London's foggy backstreets or plotting behind the walls of an idyllic country mansion, and his faithful colleague Dr Watson, solve these breathtaking and perplexing mysteries. 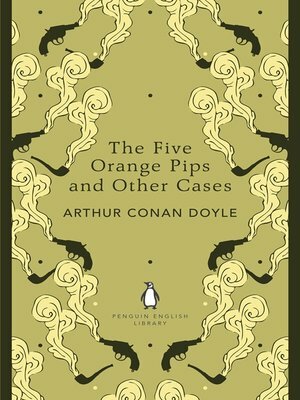 In Arthur Conan Doyle's The Five Orange Pips and Other Cases we encounter some of his most famous and devilishly difficult problems.The Penguin English Library - 100 editions of the best fiction in English, from the eighteenth century and the very first novels to the beginning of the First World War.